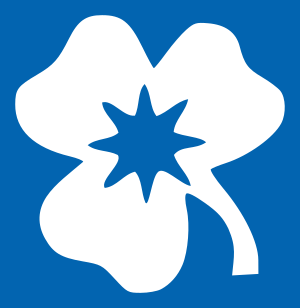 The National Association of Girl Guides and Girl Scouts of Armenia (ASTGIK, meaning "little star"; ՀՀ Աղջիկ սկաուտների — գայդերի "ԱՍՏՂԻԿ" ազգային միություն) is the national Guiding association of Armenia. Guiding came to Armenia in 1988, the association was founded in 1996 and became an associate member of the World Association of Girl Guides and Girl Scouts (WAGGGS) in 2002. The girls-only organization has 1,002 members (as of 2002). The earlier variant of the membership badge of ASTGIK was square instead of the present eight-point star shape (۞), an allusion to the organization name. The first Guide patrols in Armenia were founded in 1988 as part of a coeducational Scouting organization. In 1996, the girls left this organization and founded ASTGIK, a girls-only association. First contact with WAGGGS was established in 1997, and in 1999, the association received the status WAGGGS Certificate of Country Working Towards Membership. Meanwhile, ASTGIK was authorized by the Armenian Ministry of Justice in December 1998. In 2002, the association became an associate member of WAGGGS. The aim of the association is "to support the development of the spiritual, intellectual, physical and social potential of girls and young women as individuals and as responsible citizens of their country in (an) always changing world." This page was last edited on 23 January 2011, at 13:14.